Reliably weird and heavy in kind, Stone Machine Electric will be releasing a new EP later this month called The Amazing Terror. As I understand the info below, the tracks on the new EP were recorded at the same time as late-2014’s Garage Tape (review here), but they also serve as the foundations for what the Texas-based two-piece of guitarist William “Dub” Irvin and drummer/Thereminist Mark Kitchens will be recording for their next full-length in December as they hit the studio with Kent Stump of Wo Fat once again at the helm. 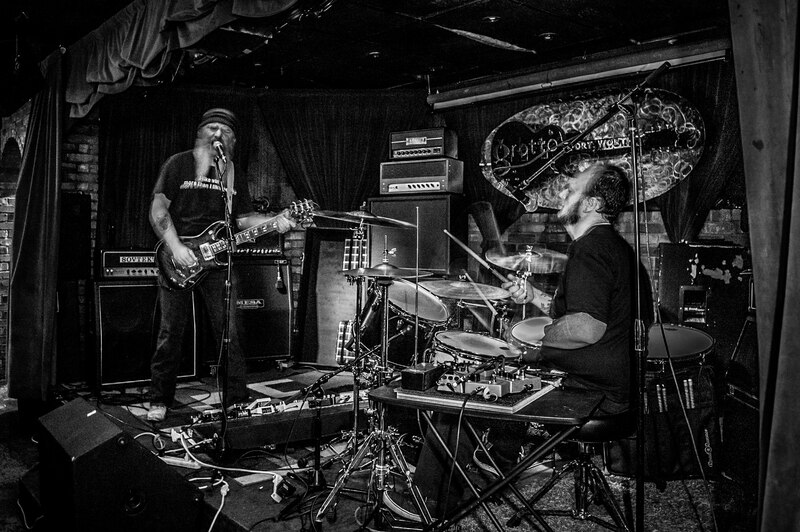 Texas heavy duo, Stone Machine Electric, is planning to head into the studio this December to record their next full-length release. This go around, Dub and Kitchens will be back at Crystal Clear sound in Dallas, TX with none other than Kent Stump of Wo Fat manning the controls. This next album will combine the raw, live feel that was presented in the Garage Tape, and mix it with the warmth and fuzzy layers present in their self-titled release. As a way to mark this next jaunt into creation, Stone Machine Electric is releasing an EP entitled The Amazing Terror. This release contains fuzzy gobs culled from the recording session of the Garage Tape. These little chunks offer the listener a small glimpse of what is to be laid down when the band hits the studio in December. The Amazing Terror will be release digitally and a limited run on CD on November 24, 2015. A video for the title track has been released online already, so please enjoy The Amazing Terror! This entry was posted	on Thursday, November 12th, 2015 at 12:52 pm	and is filed under Whathaveyou. You can follow any responses to this entry through the RSS 2.0 feed. You can leave a response, or trackback from your own site.